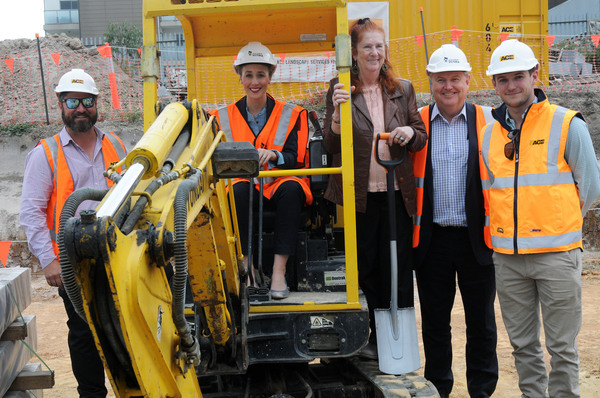 Work has begun on a new community sports court with CCTV and lighting in central Dandenong. Replacing the temporary Pop-Up Park near Dandenong railway station, the new multi-sport park is expected to open at the corner of Cadle and George streets by mid-2019. It features a court that can host a variety of sports including basketball, netball and futsal. The $650,000 project on Development Victoria land is being funded by the State Government ($550,000) and the City of Greater Dandenong ($100,000). Youth Minister and Dandenong MP Gabrielle Williams said the park would benefit local young people, residents, visitors, businesses and the broader community. Greater Dandenong mayor Roz Blades said the council recognised the importance of a recreational facility for young people in the area. It is part of the $290 million Revitalising Central Dandenong initiative, which dates back to 2006. The Government expects the RCD project to attract more than $1.2 billion in private investment and create 5000 jobs.